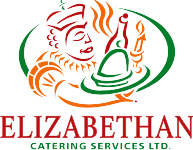 Breakfast - Elizabethan Catering Services Ltd.
Our freshly made breakfast items are a perfect way to get you and your team, ready for the day. Whether you choose a traditional continental breakfast or a more substantial selection, rest assured your guest will start their day with a sumptuous breakfast. Mix and match, if you like, and we will provide a quote for you. The service you require is totally up to you. Being a full service caterer, we are able to provide you with any desired level of service, be it eco-friendly disposable to formal china, glassware, cutlery, and linens. We leave the choice up to you based on your unique needs.